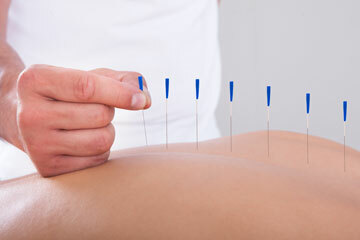 As a part of traditional Medicine (TCM) Acupuncture is among the oldest healing practices in the world. Acupuncture is considered part of the Complementary and Alternative Medicine (CAM), this became better known in the United States in 1971 and according to a report from NIH in 1977 it is being widely practiced by thousands of Physicians and Practitioners. In TCM the body is seen as a delicate balance of two opposing and inseparable forces: Yin represents the cold, slow or passive principle while Yang represents the hot, excited or active principle. According to TCM health is achieved by maintaining the body in a “balanced state”, disease is due to an internal imbalance of Yin and Yang. During your first office visit with Dr. Peters you will have a complete History and Physical examination. Then you will be scheduled for a series of appointments to start the treatment which involves placement of disposable hair-thin needles, most people feel minimal or no pain. Some people feel energized while others feel relaxed. The treatment may take place over a period of several weeks.